A few weeks ago I received an email from Eye Love about doing a potential review for their company. Come to find out, I actually went to High School with the SeeEO (cute, right?!). I'm always up for trying out a new product, especially one that I have a connection with, but once I learned more about the company I was SOLD! Living in the Southern California sun requires some sort of eyewear protection (or else you are squinting 95% of the day and ending up with massive headaches, not to mention wrinkles). If you follow me on social media then I'm sure you are well aware of my love for sunglasses (mostly because I'm not sure that hats were really made for my head... Strike that, reverse it). I have a bazillion and a half pairs of sunnies, so why not add another?! But, you see, these sunnies aren't your average pair of sunglasses. They actually help provide an eye examination and glasses to someone in need. (Oh yeah, and they are polarized, have UV400 protection, are glare-eliminating and not just a cheap pair that I received as some race freebie.) So not only can you feel good about the pair of sunnies on your face, but you know you are getting a premium quality product. 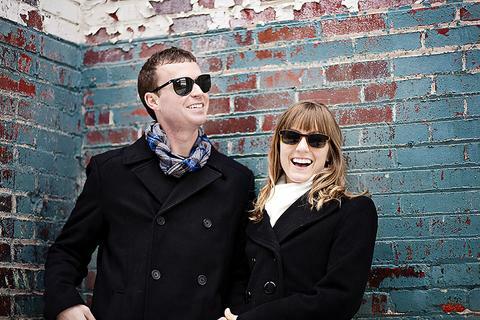 I was sent a pair of the Women's Premium Designer Polarized Sunglasses - Brown Matte. Not only do you receive the sunnies, but there are a plethora of bonuses that arrive too. A hard case - stylish and functional? Yes please! A soft case - use the soft case if you feel like going smaller. 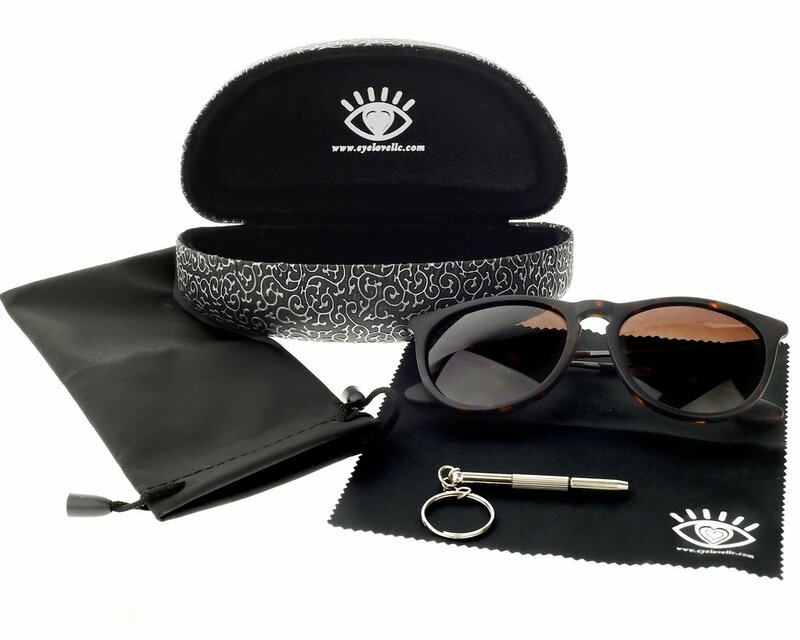 A microfiber cleaning cloth - to keep your sunnies so fresh and so clean! And a screwdriver - allows you to tighten those screws to keep them feeling brand new. Although these sunnies aren't for running, I have found plenty of other times to wear them around town. They are super cute (even if they may not have been a style I would have originally selected for myself), with a slightly over-sized round lens combined with sleek, slender temples. 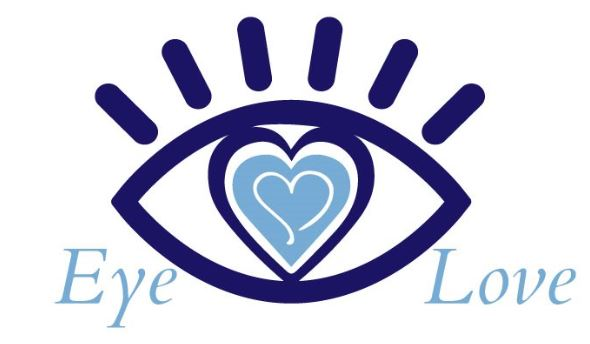 Eye Love was started in May of 2015 with the ultimate goal being to build permanent clinics in areas that have no access to quality eye care. As active members of Great Shape, Inc, and more specifically the iCARE project, Drs. 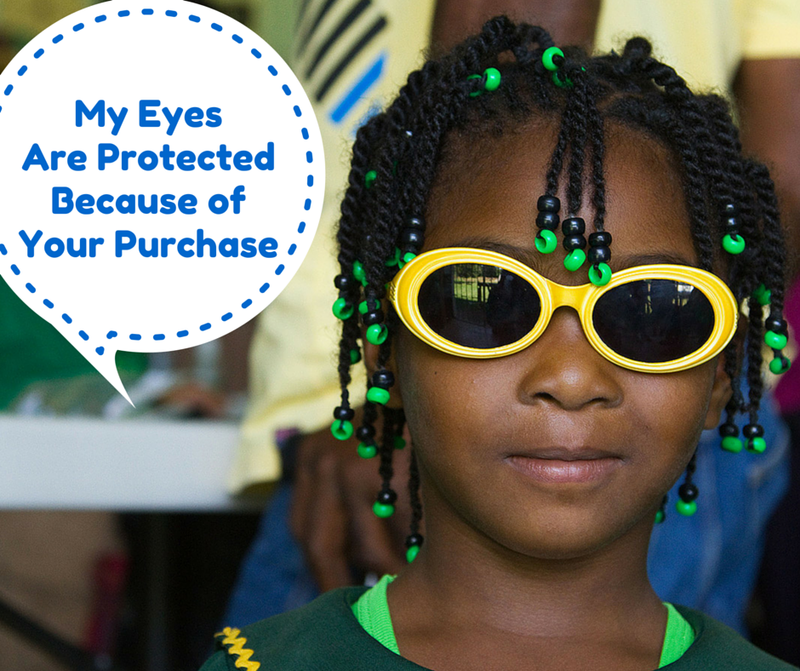 Jenna and Travis Zigler travel to Jamaica every year to give eye examinations and dispense eyeglasses. I LOVE Eye Love (even if they did go to the OSU College of Optometry)! 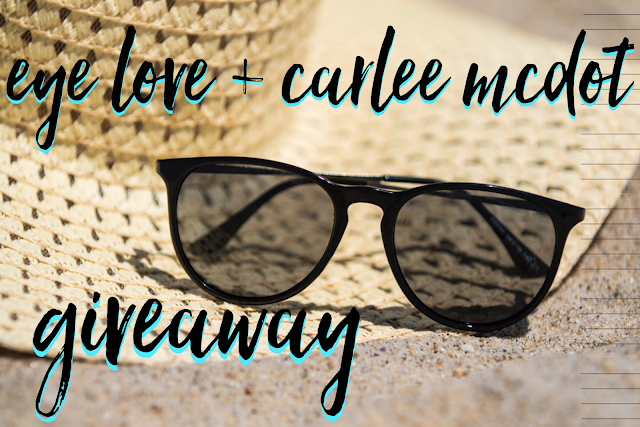 Since my birthday is on the 10th of this month, why not do a giveaway of TEN PAIRS of sunnies?! Yep, you read that correctly! 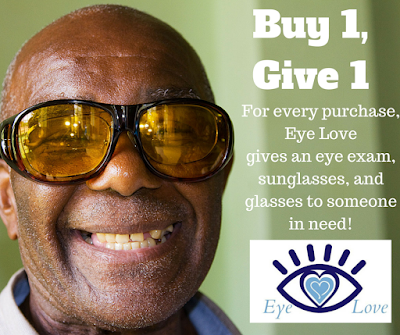 Eye Love has offered up 10 pairs of sunglasses for my friends, family and followers! Entering is easy and Eye Love has men's and women's sunglasses, so EVERYONE should be jumping up and down to get in on this giveaway! This giveaway runs through Wednesday, September 14th at 11:59pm PST. The winners will be contacted via the email address associated with their Rafflecopter account and have 24 hours to claim their prize. All entries are verified, so be sure to complete them or a new, random winner will be selected (I don't want you missing out due to a technicality). Good luck to everyone who enters and remember to enter early & often as some of the options are available daily! Only two pairs of sunglasses for me - and I am constantly losing them! Can I plead the 5th on this? I have sunglasses everywhere because I hate to be without them (in my gym bag, in my car, in my purse, at my desk, etc). I think I have 5 pairs now. I keep losing them, buying more, and then finding the old pair again. I always keep one pair in my every day bag so I'm never without. one and they are free ones! I have one pair that I try to make multipurpose -- running, life, everything. It would be helpful to have more than one, and if I could make them last longer. Also, really cool to see this company's MO. Thanks for hosting. I have too many to count! I typically have 2, a brown and a black...you never know which you will need! I own 2 pair of sunglasses (a "cute" pair for show and a pair with UV protection). 3 pairs, 1 for running and 2 cheap pairs in case I lose them. I have three pairs - Rayban Aviators, clubmasters, and a random pair for running! I have three pairs, all of them I got for free. So I would love some nice ones! I have two pairs that I'm currently cycling through. I feel like you can never have too many pairs of sunglasses though. I have one pair that I've been hold on to for awhile now. I really need a new pair though. Cute Shades! That is fun. I own a lot! Between having a convertible and running, they get a lot of use! I have probably 4-5 pairs that I wear on a regular basis. The joys of living in the south! I'm living on the edge - only 1 pair right now! I have two pairs of sunglasses. Ray Bans and Oakleys. I have 2 right now! Hoping fooor mooooore! I own 3 sunglasses. 1 good and 2 scratched. 1 pair of prescription sunglasses. I live in sunglasses. 2. One for running and one for when I'm out. I usually wear a hat and my regular glasses, but if i decide to get contacts I'd love these! Had one pair that broke...not nearly as cool as these, though! I only own one pair... sad, right? I own 2 pairs .... random fact ... people that live in Seattle spend more money on sunglasses than anyone else! True story! It's not consistently sunny enough to keep track of them so we always lose them! I only own 1 pair and they're breaking! i have 2 pairs... of the same glasses... so one pair with an extra? I have 4 I use in regular rotate between running and general wearing. I own 3 pairs of sunglasses- 1 pair of prescription sunglasses for the beach, a running pair, and an everyday pair! 4 but I have an issue with constantly losing them lol!! I have several pairs but several that need to be replaced! I have 2 but definitely in need of a new pair! What a wonderful way to support charity! I have one pair that I wear all the time and several hiding in random places in my car and purse! Love these sunglasses!! I have 2 pairs, both that I keep in the car. My drive to work always has me in the sun so sunnies are a must! I have 3 pairs. One pair for everyday wear and two pairs of XX2i sunglass for running, one in pink and one in orange. I won both pairs at local marathons. I think I have 7 pairs, but only 3 get worn. I have two pairs. One is prescription for driving and such, and one pair of cheapies for everyday wear. I own 3 pairs casual and 1 pair for running. I own 4, but only really use 2. One pair just pinches my nose too much lol and other pair were a pricey gift, making me too nervous to wear! I have my regular pair (always with me) and a few spares that I don't like as much, for emergencies. This is the first time I have heard about the company. What a great business model!!!! I probably own about 6 pairs of sunnies but I basically rotate between by pink and blue aviators. I own four pairs but only really wear 2 of them as they are nicer. The other two are for backup. I have four pairs of sunnies. Always on the lookout for new sunglasses here in CA. Thanks for the options here. I own three pairs - one prescription & two cheaper fun/trendy pairs. 6 or 7 because I always forget them and buy new ones on sunny trips ;) Only a few are "good ones." Of course I never lose or break the cheap ones! Love this company's mission! So cool! In rotating three pairs right now but i have plenty more stashed here, thereand everywhere. I love me some cute, fun, functional sunglasses!! I have one pair of sunglasses and they are prescription. I bought them last year and I love them. I could always use another pair of regular sunglasses though! Mental Strength - Do You Have It?